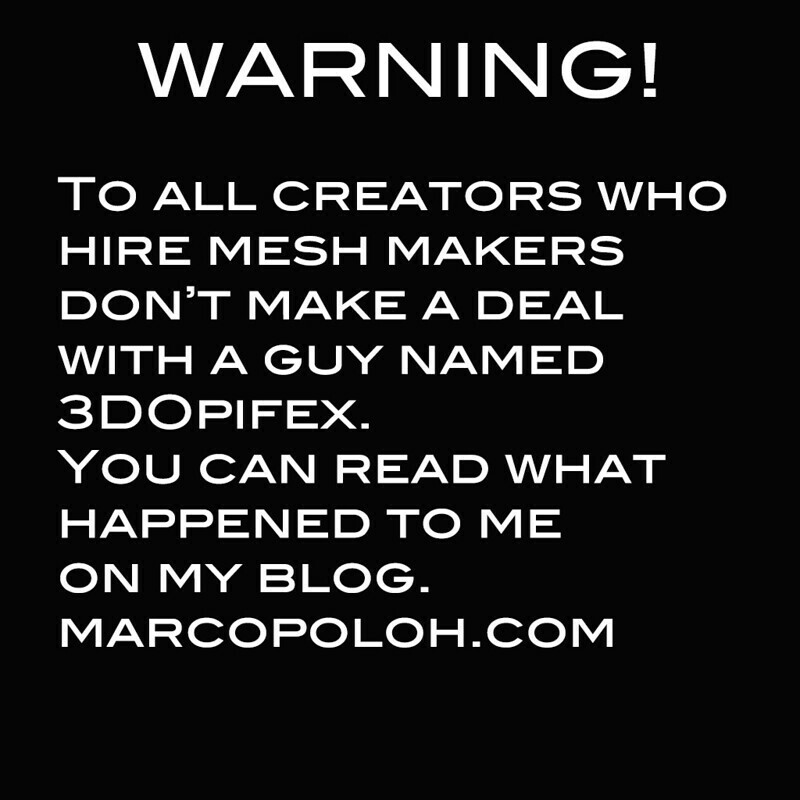 Since I know a lot of my friends hire out for mesh making, I thought this post should be shared here. Please share with your friends and contacts. Last April 2014,I contacted a mesh maker I found in a mesh creators’ group in SL to order some clothing (6 items in total).The first dress was planned to be delivered around June 4th to allow me to texture it,also take the advertising and vendors pictures and set up at C88 on time (C88 opens on the 8th each month)… and finally been delivered on the 12th with a rigging bug on the collarbone part ( price paid 150K L)You can see the schedules we agreed for the delivery of the items on the copy of the Notecard below, he sent me after I paid him to secure the orders.